Building on previous successes by the Claasen team, Acadia has raised the bar in terms of appearance and quality. She successfully brings together traditional detailing and lively contemporary influences in a single form. 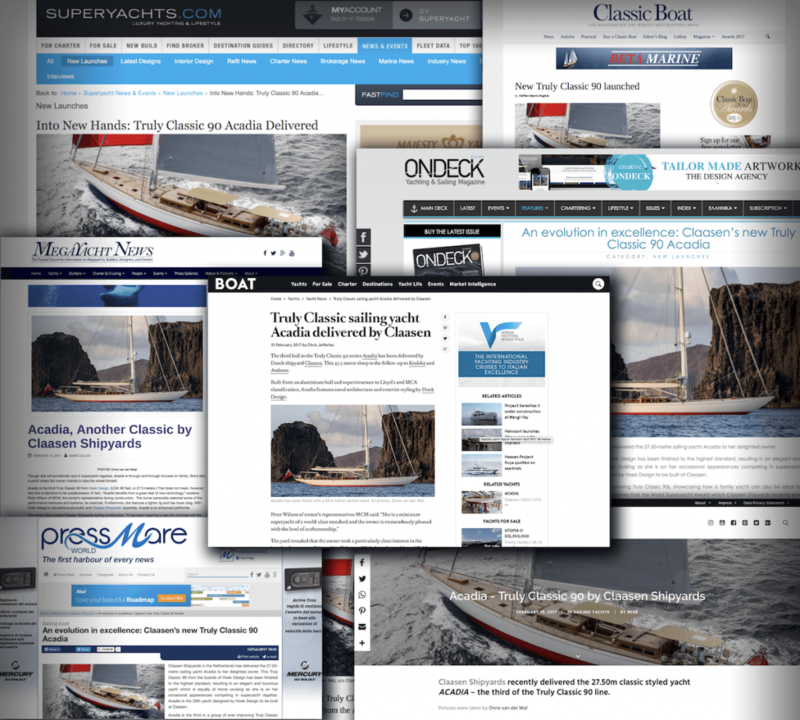 And the yachting magazines have been unanimous in their praise as the quotes below illustrate. Click on the respective links to read the full articles.